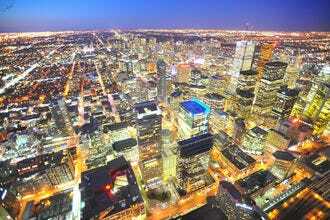 As with any major city, Toronto can put the word "rush" into rush hour. Although the peak times used to be close to standard working hours, as the population exploded, getting from A to B at any time of day takes a little longer. When A is your hotel and B is the airport, this can be a stressful situation indeed. As laid back as you may deem yourself, missing a flight doesn't exactly bring out the best in people. The night before an expected sojourn, take matters into your own relaxed hands by choosing one of our airport hotel picks. 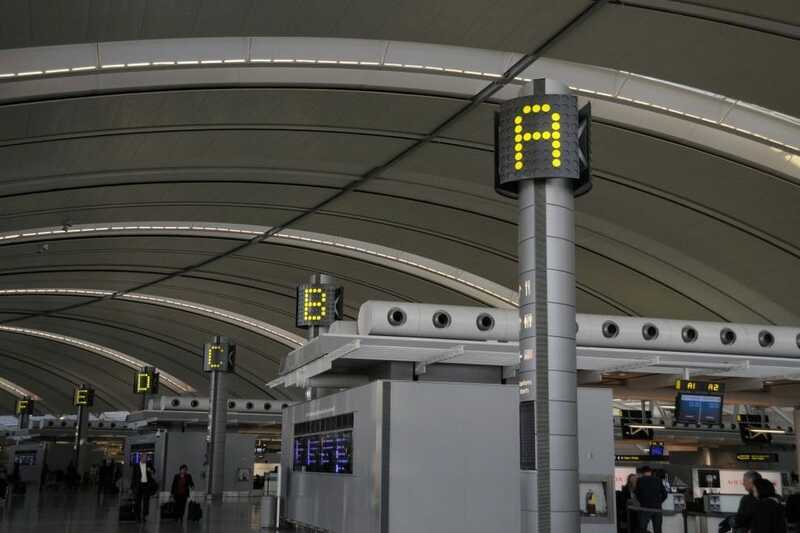 Staying within a few miles of Toronto Pearson Airport will allow you to be the cool and collected traveler that we know that you are. Check in online, take one of their shuttles and allow the muss to be something that you deal with at home, rather than at rest. 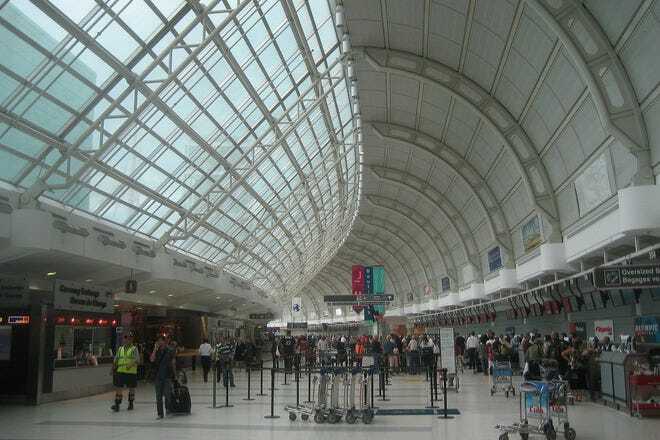 Some choices are even in the airport itself, such as the Sheraton Gateway Hotel Toronto Airport which is located directly in Terminal 3. 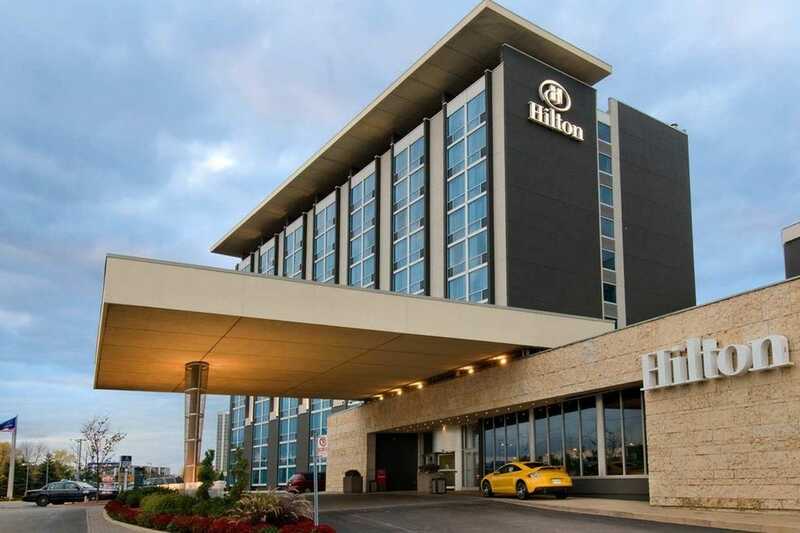 If you choose a stone's throw distance accommodation, it isn't going to be more complicated to catch your flight, with many choices offering exquisite luxury, such as the Hilton Toronto Airport & Suites. Pack your bags and arrive at your gate without any bags under your eyes. That's what we call classy business travel. The Indigo Hotel provides a cheerful and colourful backdrop for your business traveling stay. It is a no-fuss option for the traveler who just needs to rest his or her weary head. The beds are wonderfully comfortable and the essential soundproofing is pretty good, considering the location. 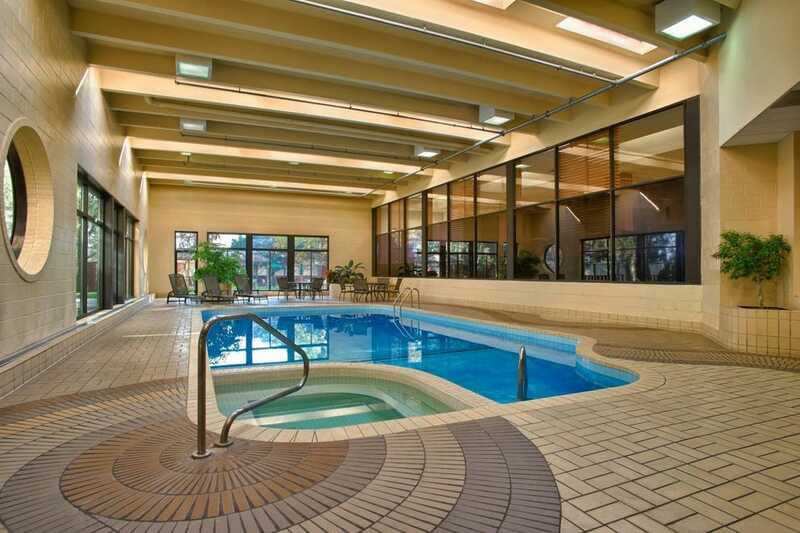 If you have time to do something besides praying to the sleep gods, you can enjoy the pool, fitness centre, hot tub and sauna. The park and fly deals are ideal for those taking a morning flight who don't exactly consider themselves "morning people." To help yourself along, try the Starbucks coffee in your room. This recently renovated Marriott Hotel is one of the closest hotels to the airport (in case there is a competition). There is a nice bistro on site, as well as other restaurants within walking distance. There is no room service, but microwave meals are available to purchase and heat in your room. Watch planes land from your windows, with minimal sound to disrupt your precious shut-eye. 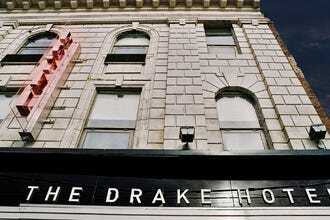 To keep your green footprint in check, this hotel prides itself on being eco-friendly. If you are traveling with a group, ask about connecting or adjoining rooms in advance. The roundtrip airport shuttle is complimentary for all guests. In general, nothing seems as far from home as an airport hotel. 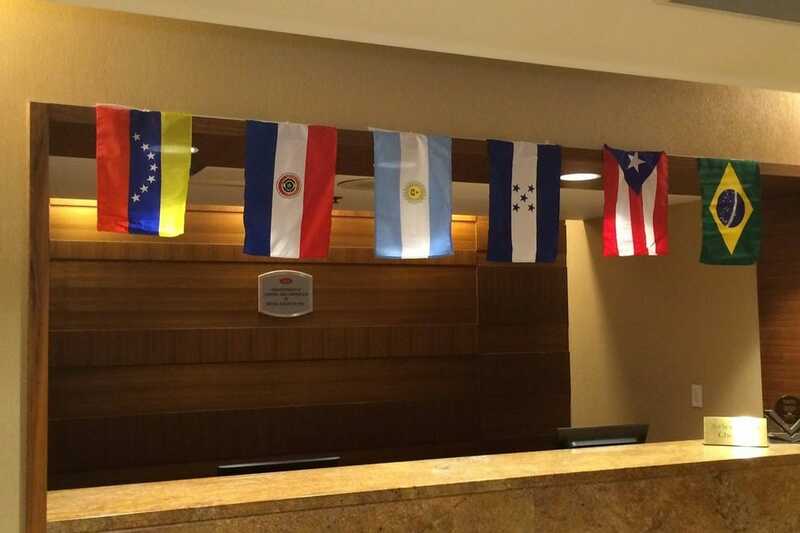 However, leave it to the Sheraton to bring a little home to an unexpected location. The Four Points Sheraton is super cozy, yet located directly across the street from the airport for the easiest transition from bed to plane. Find balance in life with brand new equipment in their fitness centre, followed with a craft beer at De Maple Restaurant and Lounge. In the summer, BBQs are set up outside for an urban retreat. Rooms are equipped with plenty of room to work as well as the ultimate, marshmallowy bed that may beckon you to procrastinate a little longer. 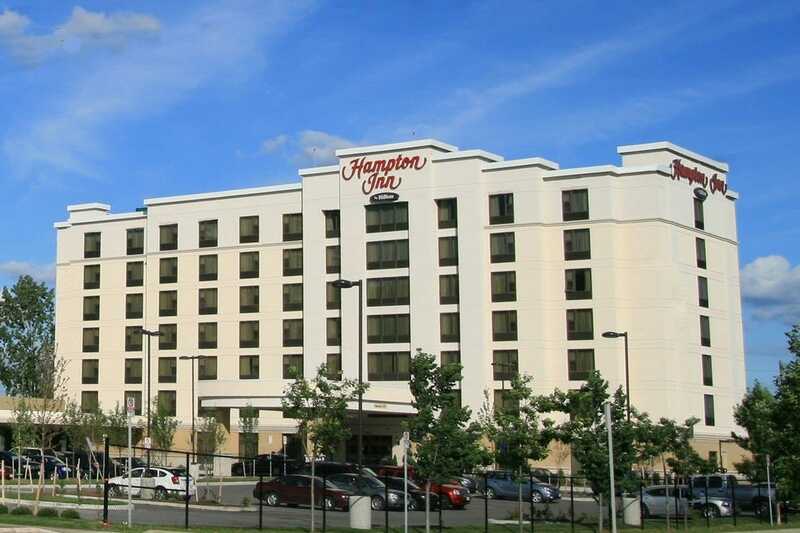 The Hampton Inn is a Hilton-brand hotel with an ideal location for lengthy layovers. 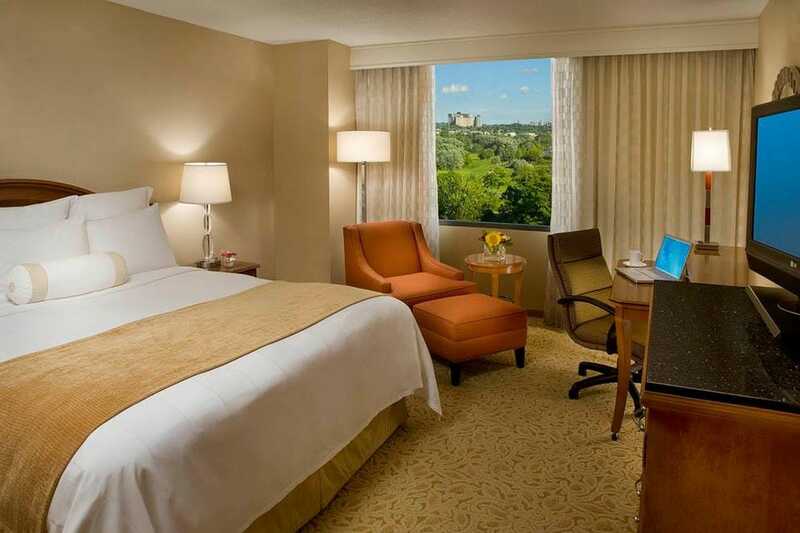 Rather than being forced to gaze at a runway, rooms overlook the Centennial Park & Golf Club. With everything from a business centre with complimentary printing to an indoor pool, the Hampton Inn can accommodate both the business and the leisure traveler. Rooms have splashes of cool colours and invite relaxation with plush bedding and preset music on alarm clocks. Lapdesks are available in room to make necessary work as comfortable as possible. The complimentary hot breakfast will await you upon checkout, or if you are in a hurry, prebook an On The Go Breakfast Bag. 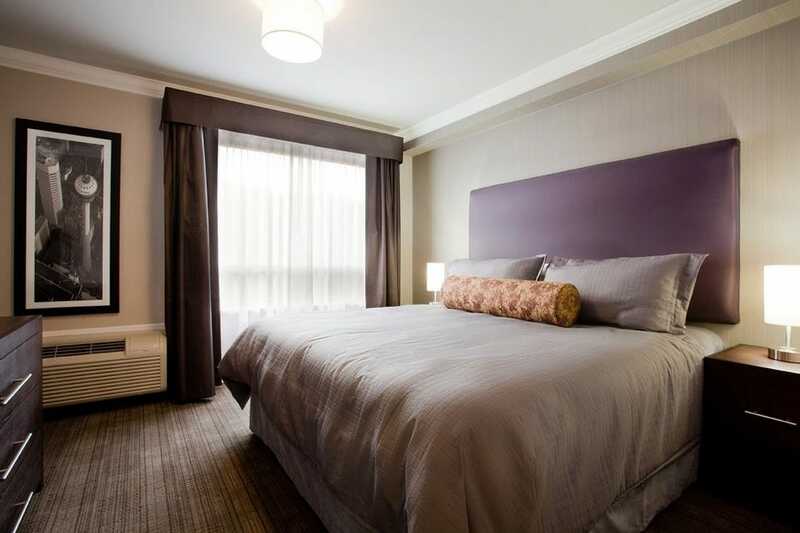 Located just minutes from Pearson, the Sandman Signature Hotel prides itself on customer service. Rooms are spacious and comfortable with muted earth tones and beds dressed in white linen. All guest rooms are spacious, with many having amenities such as a washer and dryer or kitchen. Often you can upgrade from a standard view at checkin for as little as $30 to gain an in-room jacuzzi. Grab a meal at Moxie's Grill, which is attached to the hotel. 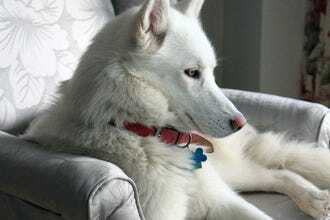 If you are the type that gets separation anxiety when away from your pet, note that the Sandman welcomes furry guests. With modern chic decor, walk in showers and a Starbucks in the lobby, you might get a little too comfortable. Remember to catch your flight. If you are wondering how to get to the airport, just look directly across the street from the Hilton Toronto Airport and Suites. If you need to impress your business colleagues with a meeting space, this is the place to book, with over 23,000 square feet of meeting space and 20 meeting rooms. If your stay is just for you, enjoy the heated outdoor swimming pool, the fitness centre or the squash courts. Rooms have WiFi, flat screen TVs and alarm clocks with MP3 connections. Soft blues and whites accent the room and suites, encouraging a little shut eye before you recommence your traveling. 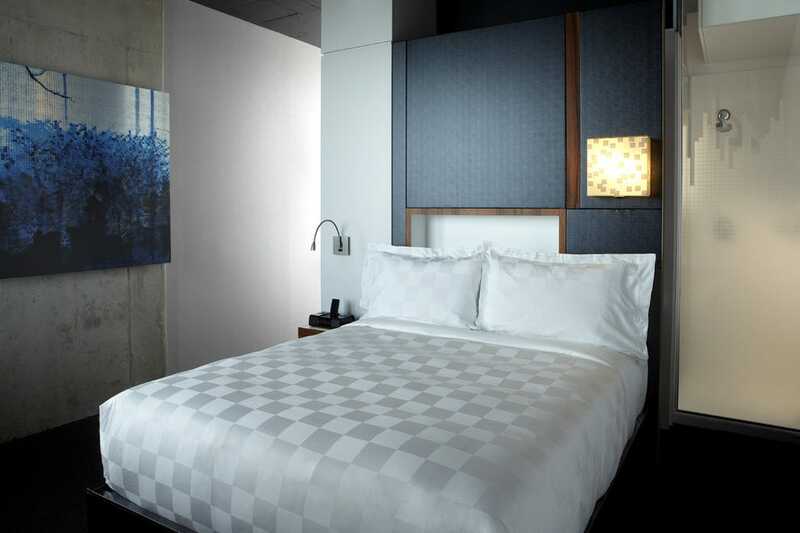 Only 1.5 miles (or 2.5 km) from Toronto Pearson International Airport (YYZ), the Crowne Plaza Toronto Airport Hotel is ultra-modern and luxurious. The direct shuttle service to the airport runs for 24 hours, so there is no need to stay up in anxious worry of missing your flight. The spacious rooms are outfitted in calming earth tones with ultra-comfortable bedding and aromatherapy to help you to nod off in style. Self-parking is available with a charge of $14 CAD for the night. If you are working hard, use the WiFi available in your room and head to the Business Centre to copy and print your completed product. The 24-hour fitness centre is great for the jetlagged athlete. If you have a little longer, the closest golf club is a mere 3 minute drive from the hotel. 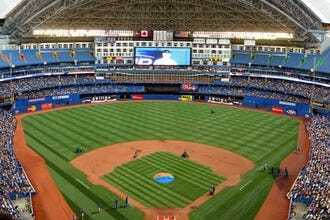 A mere two minutes from Toronto Pearson International Airport, the Marriott Hotel Airport is one of the largest hotels in the area. With low rates and soundproof windows, this luxury hotel is outfitted in golden tones to keep your mood uplifted through long travel days. The attached parking garage is conveniently underground to avoid less than optimal weather conditions. If you like to shop, you are close to some of Toronto's favourite malls, such as Sherway Gardens. If you prefer to get the most bang for your buck, enjoy the lovely pool and fitness centre, or make like a kid and try your hand in the video game room. When it is time to go, shuttles leave every 15 minutes for the airport. 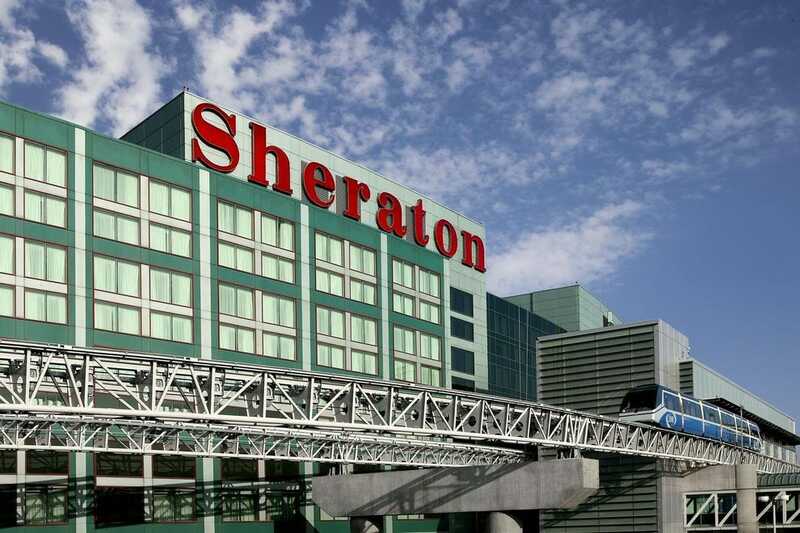 You just can't get more conveniently located to Toronto Pearson than the Sheraton Gateway Hotel Toronto Airport. For quick layovers, this hotel has direct indoor access from Terminal 3 and is just a hop, skip and a train ride away from Terminal 1. You can even print your boarding passes directly from the hotel lobby. If you are picking up someone from the airport, pay for hotel parking and walk through for a much lovelier view than the airport parking lot. 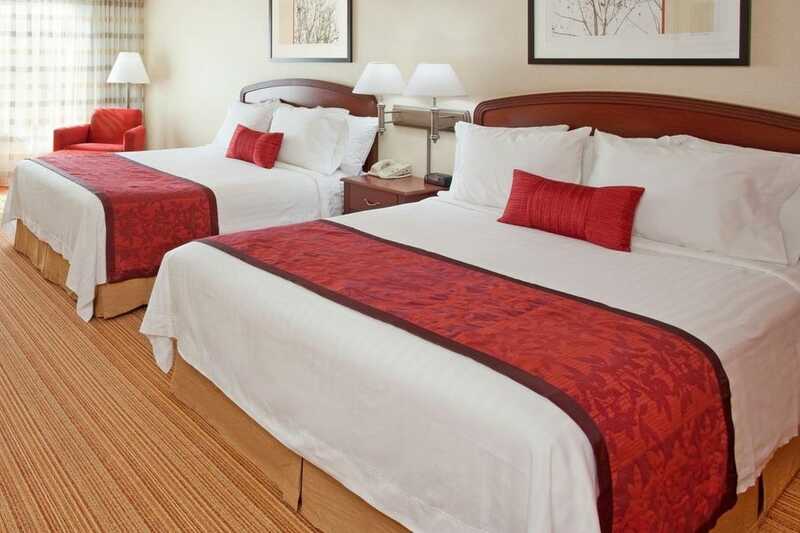 Spacious rooms have king or queen sized "sweet sleeper" beds so that you can get your beauty rest. If you have a little time to spare, enjoy their fully equipped business centre or 24-hour fitness club. Admit it: when you are staying in an airport hotel, you are anticipating a little bit of drabness in the name of convenience. Alt Hotels challenges that expectation and turns it on its head. Expect touches like gourmet grab-and-go meals and a hotel vibe that is stylish and eco-conscious. The rooms have everything from a spa-style showerhead to a dock for your IPhone so that you can set your own alarm clock. The modern style extends to the hotel lobby, with a giant mural made of Instagram photos. You may want to stay more than one night (and how often can you say that about an airport hotel)?